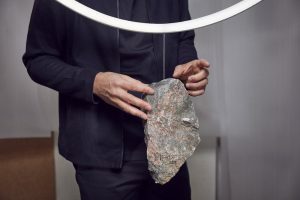 True to their name, Elemental – the Chilean design studio founded in 2001 by 2016 Prizker Prize winner Alejandro Aravena – has gone back to basics for their two new lighting systems for Artemide. The experimental ‘do tank’, which includes Gonzalo Arteaga, Juan Cerda, Victor Oddó and Diego Torres, has built a reputation for questioning established ideas of design, bringing an original approach to projects that range from housing to public space, from objects to buildings. 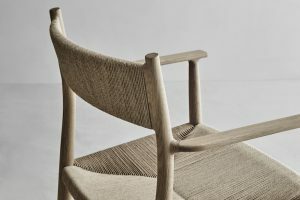 For the tactile, orb-like, ‘Huara’ and the circular, exterior light, ‘O’, the group reflected on fundamentals of light and our relationship with it – something reflected in both of the light’s simple forms. The history of humanity is intimately linked to light – the discovery of fire, at least 600,000 years ago, was a revolution in the development of human culture; the use of fuel some 20,000 years ago led to great civilisations being established, and the emergence of electric light at the end of the 19th century informed the direction of the 20th. It is from these essential moments in human history that Elemental has taken inspiration from for Huara, which aims to draw together the first and last moment in the history of light: celestial bodies with electronics. The lamp can be freely positioned and rotated, the individual panels of the orb illuminated and switched off simply by touching them. O takes the history of humanity and light further, considering human civilisation as it is now and where it is going. 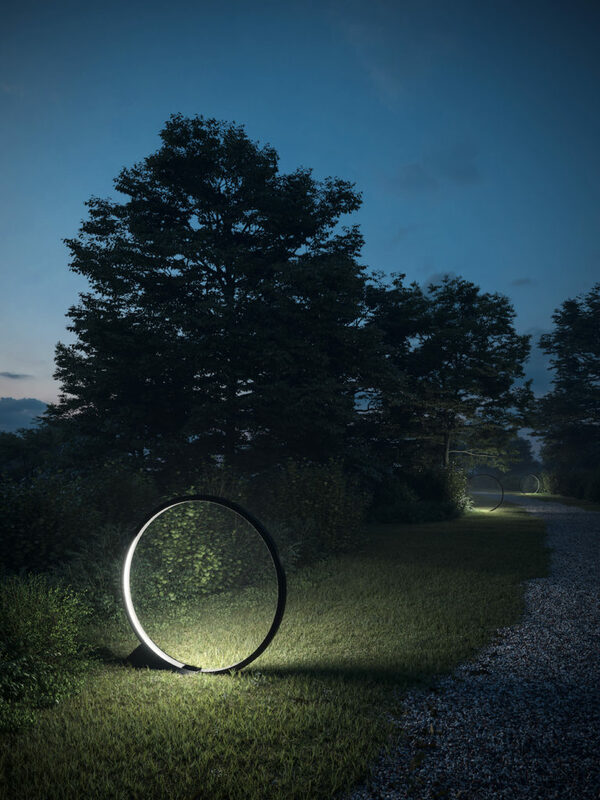 Designed to illuminate only when needed, and to blend into the landscape, O is intended to preserve darkness in natural urban environments, and to keep parks free of wires, cables and poles. As Aravena says, “The cities with the highest quality of life are those that were visionary enough to keep portions of untouched nature within their footprint and transform them into public spaces.” O seeks to help preserve that vision in an ever-more urban world. Port spoke to the group over email to find out more the two new lighting systems. What role does thinking about the basic principles of light play in your design process? In this case, it was a central part of the design process… The concepts were born during the WE (Workshop Elemental) we did in Artemide’s factory in Milan, with Ernesto Gismondi and Carlotta Bevilacqua, who give us a short history of lighting. What was the initial inspiration for both O and Huara? 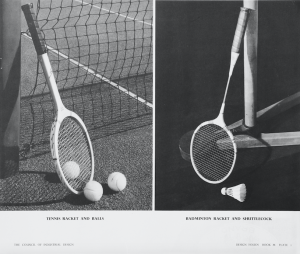 In both cases we wanted to reflect the transition from electricity to electronics, using the technology to change the way to use and perceive the light. Why did you opt for such a tactile user experience with Huara? We wanted the light to vary its intensity and direction according to phases, rather than moving pieces of a mechanism. On the other hand, we want to acknowledge the fact that the future of light is electronic, not electric. 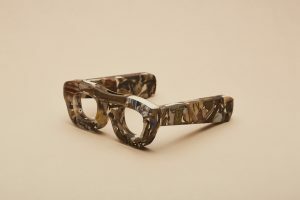 The distinctive potential of electronics is its capacity to carry information that allow for multiple ways of interaction, such as a tactile screen. 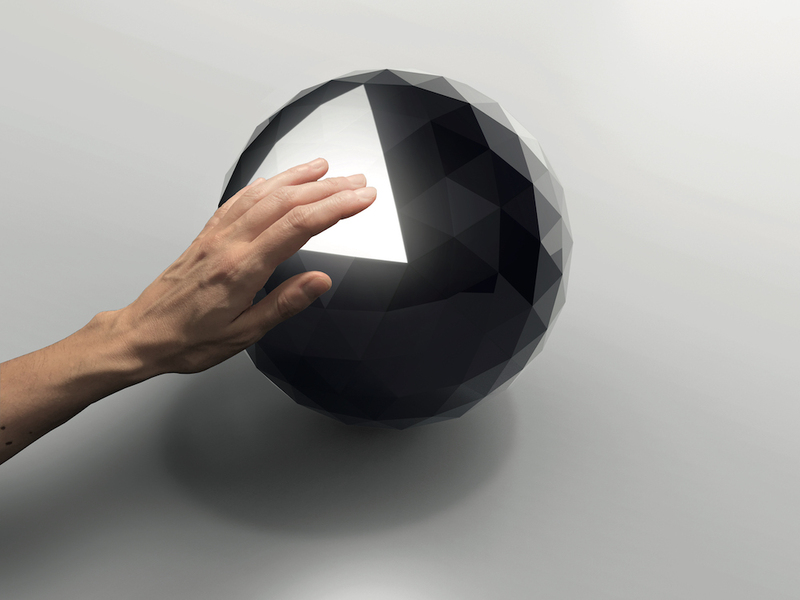 So, our project is a low voltage, movable, dark sphere intuitively activated by touch. How did you arrive at the circular form for O? Our project for Artemide is an attempt to reconcile the needs of the natural and the urban environment. Our strategy is twofold: on the one hand is to design a light for the public space that, when not in use, can be as imperceptible as possible; light without a lamp. On the other hand is to take advantage of different types of sensors so that light appears just when needed; light only on demand. 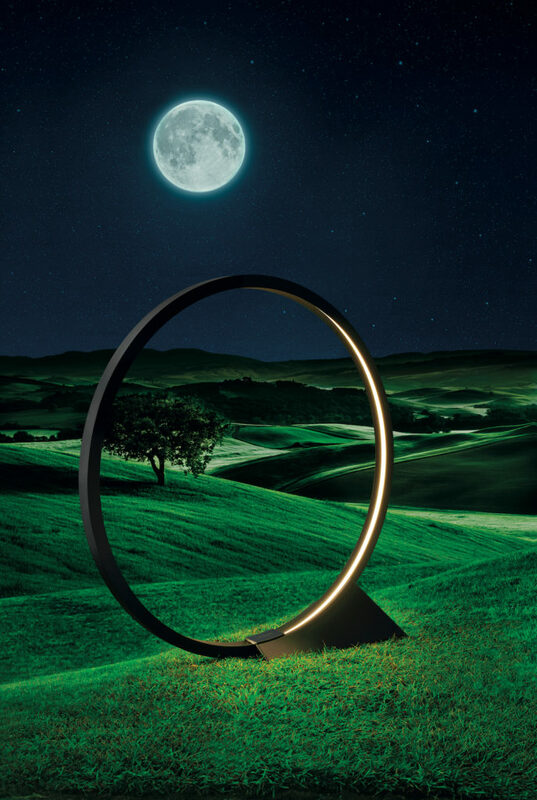 For O we envision a series of discs that interfere as little as possible an existing landscape, but that when activated by people’s motion, illuminate the adjacent space for only a limited amount of time. Darkness and disappearance will be the contribution of O to nature and public space. How do you divide responsibilities and organise your work together? We are a team of 12 architects, working in one open space organised by tables of three. We think aloud about the projects, we draw, we sketch… each team knows how to create a idea or develop it until the last stage, the construction.